Computer network is the interconnection between the two or more devices via different transmission Medias to the means of communication. When we are doing or performing a Computer Network communication we actually need two or more host, peer, client, server or the computers because the main features or the main aim because of which the computer network was initially developed was only for the means of communication or sharing of information or the data which we want to be broadcasted to the people r the entities which we want. Computer network can basically performed by minimum number of two devices and maximum number of 256 host or stations can be connected to the computer. 1. Increased Speed: Network provides a fast access or means to transfer the files or the data as per the user’s requirements. Improved Security: It’s possible to protect the files and the programs from any illegal copy or any accidental lost at any time. Centralized Software Management: Due to use of the computer network all the expensive software’s can be downloaded on a central machine. Access to the Remote Information: It involves the interaction between the person and the remote database. Person to Person Communication: Emails, people situated at different places in the world can communicate with each other in any corner of the world. Interactive Entertainment: Computer network provide an interactive entertainment to the people community associated with it. Performance: The network you are choosing should have an high performance it should give you a great speed which consumes less time energy and sources. Reliability: the network reliability is important because it decides the frequency at which the data flow takes place at what will be the maximum frequency. Security: the network security refers to the protection of our data or information from any unwanted accidental lost. * Type of transmission media. * Capability of the connected networks. * Efficiency of the network. Management of the Software: due to the computer network it’s possible to store the entire database on the central machine due to which we need to keep the management on the server. 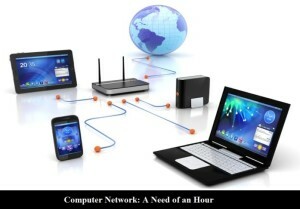 Maintaining the Network: as we are maintain a huge network we need to keep a check on the network which is used by us. Back-up Data: This process provides the backup of the data due to which we don’t need to re write the code again and again it keeps a track of the data. To conclude: This all point we discussed are very basic but very vital in networking. You can get overview from this actually is networking and benefits of networking.